Make money helping people move! Become a Moving Help® Service Provider and help others move on your schedule. What is a Moving Help® Service Provider? Moving Help® Service Providers provide a professional and safe moving service for customers by offering packing, loading and cleaning services. Moving Help® Service Providers are all over the United States & Canada helping families move across town and across the country. Pack customers' household goods at the start of their move. Professionally and safely move customers' possessions into their rental equipment. 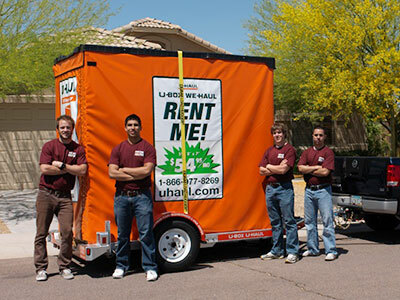 Professionally and efficiently unload customers' belongings from their rental equipment. Unpack customers' belongings at their new home. 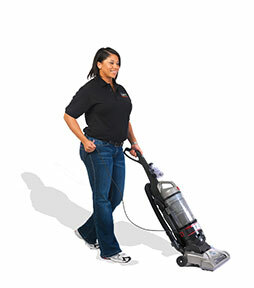 Cleaning services can be provided before or after the customer's move. when you become a Moving Help® Service Provider. Stay in control of the hours and days you want to work. Whether you want to make this a full time or part-time career, you can be your own boss. Use your online account to select which days and times you’re available to help customers. Start your business today and help people move near you! You give us your availability and hard work and we give you the customers. Hundreds of customers need your help every day. When you sign up as a Moving Help® Service Provider, your business will be listed on uhaul.com and movinghelp.com to allow customers to find and use your services for their move. After they book your business through one of these sites we will notify you when the job needs to get done. No start up costs or monthly fees when you become a Moving Help® Service Provider. 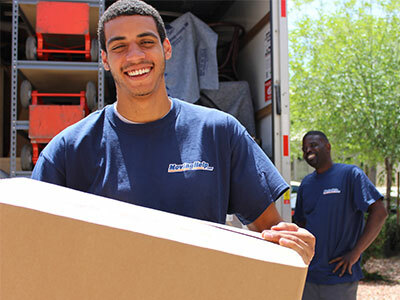 Our movers provide their own rates and Moving Help® charges a flat 15% marketplace fee when a transaction is completed. You get paid when the job is done and the customer is completely satisfied. Many Moving Help® Service Providers work part-time outside of their career to make extra money on the side. What's even better is you are your own boss - so work the jobs that you want and the hours that work best for you! Many Moving Help® companies start off as a group of friends who are looking to start a new business together. Connecting with friends is a great way to take on bigger moving jobs and make more money in the process. 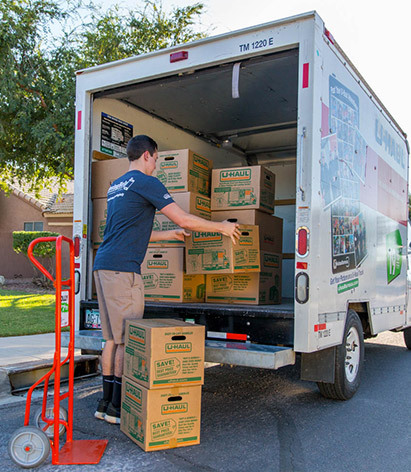 Many families have come together to become Moving Help® Service Providers. Having these close personal ties makes working together enjoyable and easier. 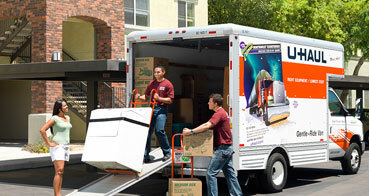 New start-ups or existing small businesses often become Moving Help® Service Providers. It's a great way to expand your customer base or quality of services offered. Many Moving Help® Service Providers started out as part-time, college students or just a group of friends, but have since blossomed into something bigger and better. These Moving Help® Service Providers have made this their main source of income and their career. 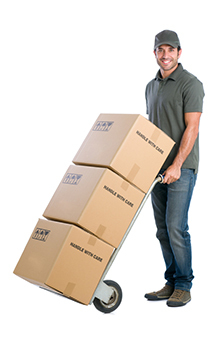 I already have a job, can I still work as a Moving Help® Service Provider? As a Moving Help® Service Provider you work for yourself! Many Moving Help® Service Providers work part-time outside of their career to make extra money on the side. Since you are your own boss, you control how many jobs you get and the hours that work best for you! I own a moving company, can I also be a Moving Help® Service Provider? Moving Help® connects customers to labor only service providers. We do not allow moving companies who provide their own equipment (ie. rental trucks, trailers, etc.) to participate in the labor only MarketPlace. In the United States, you can get customer payments Direct Deposited into a valid checking or savings account. Qualified Moving Help® Service Providers can also enroll to receive instant payment through paycard (Global Cash Card). Moving Help® Service Providers in Canada can receive payments through a PayPal account. Do I have to work a minimum amount of hours? MovingHelp.com requires customers purchase a minimum of 2 hours for load/unload, pack/unpack or cleaning services. This ensures you won't lose money taking on a job. MovingHelp.com is a labor only MarketPlace, Moving Help® Service Providers are not required to be bonded or insured. If the customer's apartment building/residence requires bonded movers, simply advise them you are completing a self-move and this is not required. Are Moving Help® Service Providers Safe? The Moving Help® MarketPlace creates a safe connection between the Moving Help® Service Providers and the everyday customer who needs labor only services. You have all had an opportunity to test the new Moving Help® Service Provider Zone Settings, allowing you to fully customize your coverage, rates and services. I am pleased to announce that the demo is ending and the system is scheduled to go live on March 13th. What does this mean? You now have until March 12th to set your new coverage, services and rates before the new system replaces the old one. We have imported your old coverage as a start, so if you do not wish to make changes then your rates, coverage and services will simply continue. If you wish to set new coverage, I would encourage you to do this ASAP, because the switch will be turned on March 13th. If you do not set new rates, please be advised that if you charge a Travel Fee, we will convert the fee and include it in your hourly rate. All current Piano Fees will also be removed, and you must sign up for Piano Moving as a standalone service. Please be aware that in order to provide this service, the expectations is you will be providing the tools and items needed to move a piano they will no longer be expected to be provided by the customer.